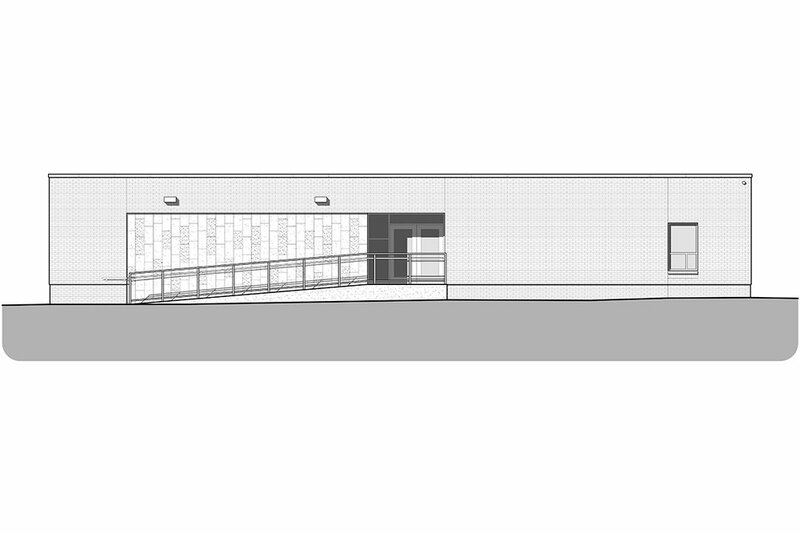 Lincoln Elementary Classroom Addition - Beach, ND — Übl Design Group, P.C. A small classroom addition on to the existing Lincoln Elementary School in Beach, ND, this project began as a programming and master planning effort to consider both the immediate and future needs of the school district. One challenge was the ideal location of the classroom addition was in an area restricted by existing roadways and setbacks. With a variance from the City of Beach, a creative layout and some re-proportioning of the rooms, the addition was able to be placed in the intended location. The next challenge was to blend the new addition with the existing building. This was accomplished through simple, clean detailing that simultaneously provided the addition an interesting form of its own, but ensured it would not compete with the rest of the building. The interiors of the classrooms were designed to be versatile with a simplicity that corresponds to the exterior. A straightforward floor pattern with both carpet and VCT, reflects the activity in the classroom. Subtle gray tones were used with veins of color. The ceiling consists of acoustical ceiling tile clouds that align with the floor pattern, outlining areas of activity.